Join the Gahanna Area Chamber of Commerce in experiencing some of the best food and drink that Gahanna has to offer! Registration includes unlimited sampling from 20+ Gahanna area restaurants. Once again we will have a Celebrity "Chopped" Contest featuring local chefs who are paired with community leaders to create a dish. Participants will get to vote on their favorite restaurant with awards given for the best dishes! Live music and entertainment will compliment a night you don't want to miss! 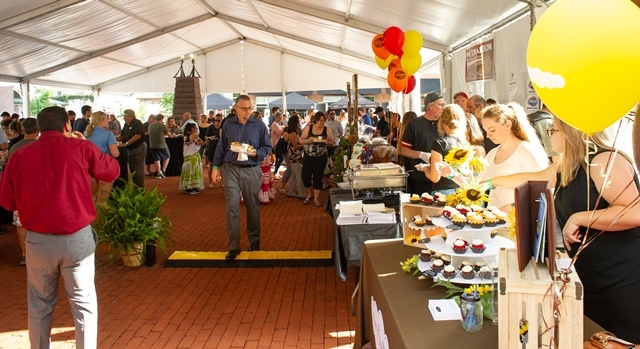 If you're looking for more than just a fun night out, GACC has created many opportunities for you to expose your business brand through various levels of sponsorships or becoming an exhibitor at Taste of Gahanna.